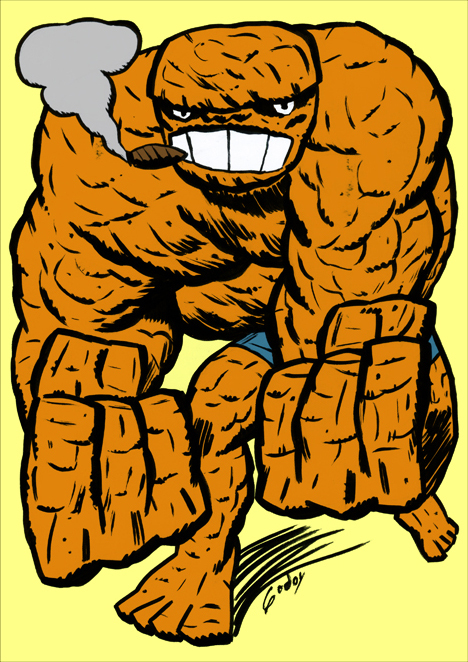 Posted May 16, 2013 in Doctor Doom, Javi Godoy, sigmund freud, Spongebob Squarepants, The Thing. 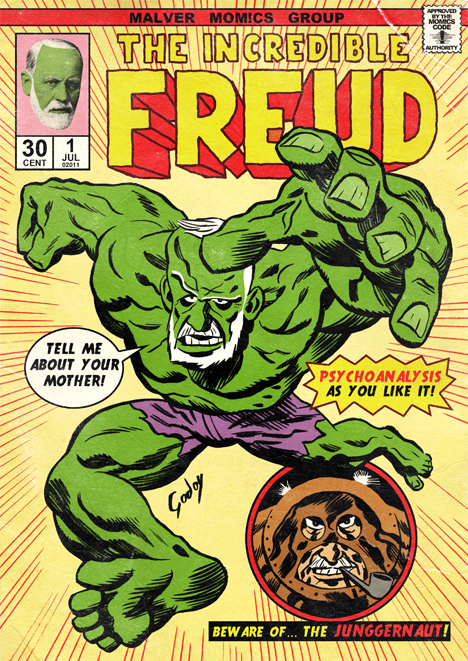 Many thanks to Spanish artist Javi Godoy for sharing his weird and wonderful Kirby inspired artwork with the blog. For more from Javi be sure to visit his blog, flickrpage and etsy store. 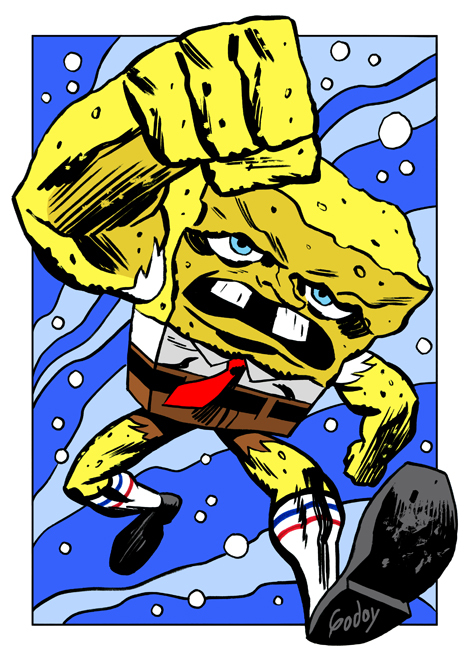 Posted July 2, 2009 in Fantastic Four, Paul Conrad, Spongebob Squarepants. 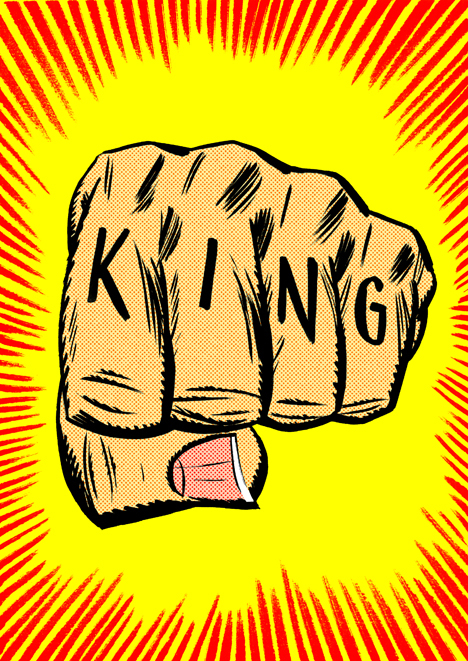 Our 100th post is from Nashville based Illustrator and Designer Paul Conrad. 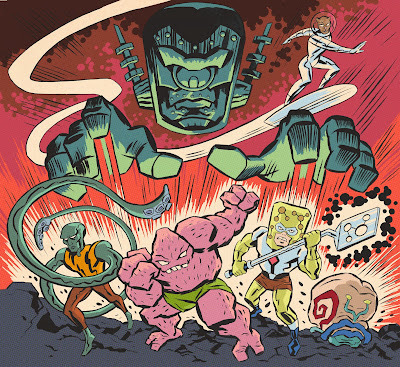 This re-imaging of the cover to Fantastic Four #49, featuring the denizens of Bikini Bottom, will soon see print in a special Spongebob 10th anniversary edition of Nickelodeon Magazine. Paul, who has worked for Pixar, Disney, Big Idea and Scholastic, writes about the evolution of this piece at his blog ‘Super Robot Monster‘. 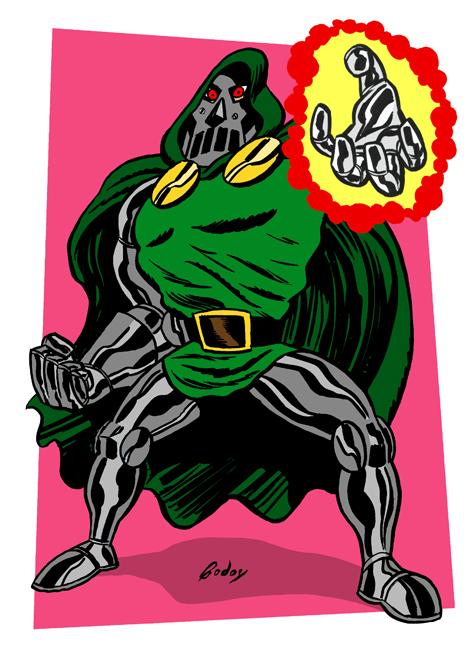 The original cover, by Jack Kirby and Joe Sinnott, can be found here.